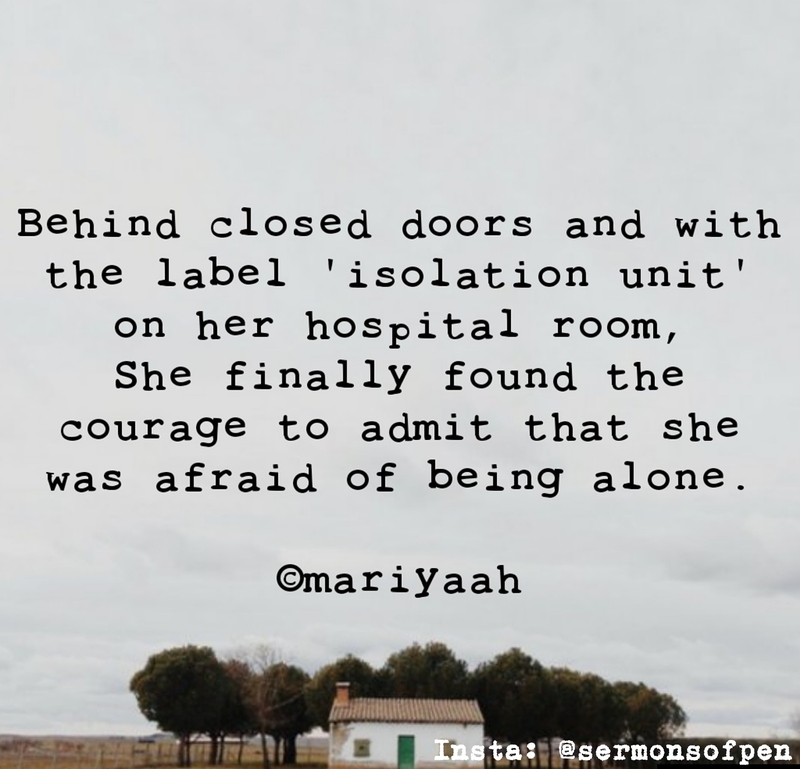 Behind closed doors and with the title “Isolation Unit” on her hospital room. She finally found the courage to admit that she was afraid of being alone. Apologies. It was already too late. A sneak peak into my days back in the hospital. The days of illness are marked by a whole new roller-coaster of emotions that you’ve never experienced in your life before. A sudden vulnerability that you never knew could exist within yourself. And a whole lot of grieving thoughts and words you thought you have forgotten long ago. This is just a fragment of what’s its like in the isolation ward. I’ll be writing a detailed account pretty soon. This gave me chills! I can never ever understand how it feels like to be there. I hope you are doing better now. That’s very kind of you Saumya. I am much better and glad to be blogging again.